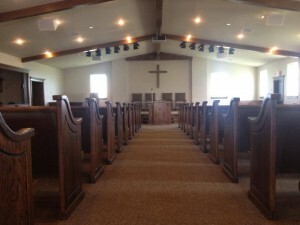 Adding something unique to your church as Zion Mennonite in Adair, Oklahoma, did can give your congregation members something to remember as they walk into church services throughout the week. 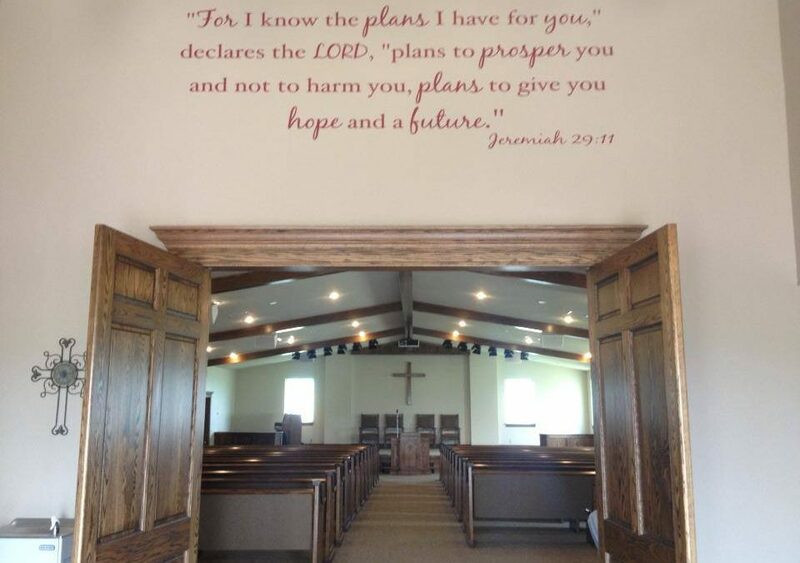 Zion Mennonite has Jeremiah 29:11 above their doorway into the sanctuary just for that reason. When we installed church pews in their sanctuary, we remembered this passage and the Lord’s plans for us to help churches welcome everyone with affordable and comfortable seating. Adair is a strong community with an interesting history. Established in 1883 about the same time a Cherokee school was built there, the town was named after two brothers who lived in the area, William Penn Adair and Dr. Walter Thompson Adair. William Penn Adair was an influential man in Cherokee Nation before Oklahoma statehood and played a role to represent the Cherokee in Washington as well as being a senator in the Cherokee government. The Cherokee School in Adair was opened to non-Cherokee students in 1907 after statehood. We installed custom built church pews in the Zion Mennonite Church and they look beautiful inside of the church sanctuary. The church chose a more traditional look with a dark stain to match the other wood features of the church. The wooden doors and beams in the church as well as the other church furniture, together with the new church pews, create an elegant contrast in the church sanctuary. The special touch of the Bible passage at the entrance is something that you can add to your church if you’re looking to drive home a message about what the Lord means in our lives. You can incorporate passages from the Bible throughout your decor in your church sanctuary by displaying passages and artwork on the interior walls of your church. 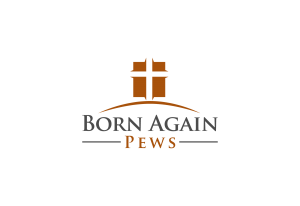 We can also create custom crosses to complement your church pews and other church furniture to match.